Skype 8.36.0.161 Portable » TopFreeSoft.Net - Best Freeware Software! - Make free calls to anyone else on Skype, anywhere in the world. - See who you are talking to with free video calls. - Chat with up to 100 people in group chats. - Conference call with up to four people for free. - Call ordinary phones with SkypeOut. - Works with all firewall, NAT and routers ? ?“ nothing to configure! - Friends list shows you when your Skype friends are online and ready to talk or chat. - Super-simple and easy to use. - Your calls are encrypted ???end-to-end??? in order to safeguard your privacy. - Based on cutting edge peer-to-peer technology developed by the creators of Kazaa and Joltid. - You can also now share your screen with other users. Getting started is simple. There are many ways Skype can help you connect. Finding people. Adding friends and family to your contact list is simple ? ?“ search, select, add. Making a call is easy. Simply select the Call Phones tab, enter a number and hit the green button. Great call quality. Get superior sound quality with a headset. Many models to choose from. 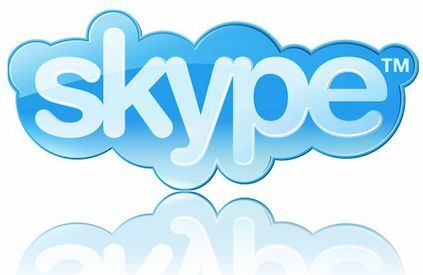 Microsoft bought Skype in May 2011 for $8.5 billion. Skype division headquarters are in Luxembourg but most of the development team and 44% of all the division's employees are still situated in Tallinn and Tartu, Estonia. Throughout 2016 and 2017, Microsoft rebooted its Skype clients in a way that transitioned Skype from peer-to-peer service to a centralized Azure service and adjusted the user interfaces of apps to make text-based messaging more prominent than voice calling. The new Skype protocol - Microsoft Notification Protocol 24. The deprecation became effective in the second week of August 2014. Transferred files are now saved on central servers. As far as networking stack support is concerned, Skype only supports the IPv4 protocol. It lacks support for the next-generation Internet protocol, IPv6. The 2013 mass surveillance disclosures revealed that agencies such as the NSA and the FBI have the ability to eavesdrop on Skype, including the monitoring and storage of text and video calls and file transfers. The PRISM surveillance program, which requires FISA court authorization, reportedly has allowed the NSA unfettered access to its data center supernodes.